AuthorMitaliPerkins: BAMBOO PEOPLE Book Launch Party! 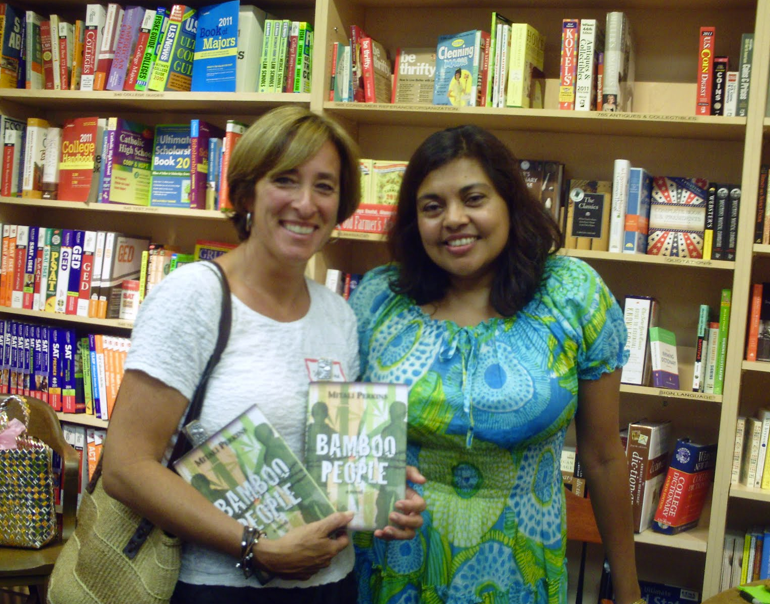 BAMBOO PEOPLE Book Launch Party! Arrived to find this gorgeous bamboo plant sent from Portland, Maine by Curious City's Kirsten Cappy, Jamie Hogan (who illustrated my book Rickshaw Girl), Annie Sibley O' Brien (After Gandhi), and King middle school librarian Kelley McDaniel. Thank you so much, ladies, for your love and support! I loved watching people mingle and meet. 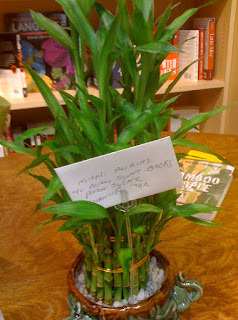 My buddy Deb Sloan is one of the best book cheerleaders on the planet. 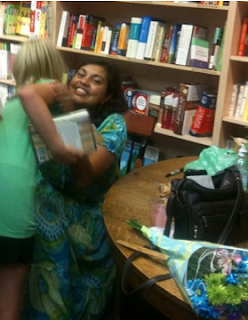 Authors who write for adults don't get love like this. Porter Square bookseller Nathan exuded hospitality. Thank you! 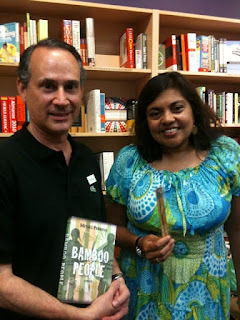 I'm holding the bamboo bookmark giveaways I picked up a couple of weeks ago at the Chiang Mai Night Bazaar.